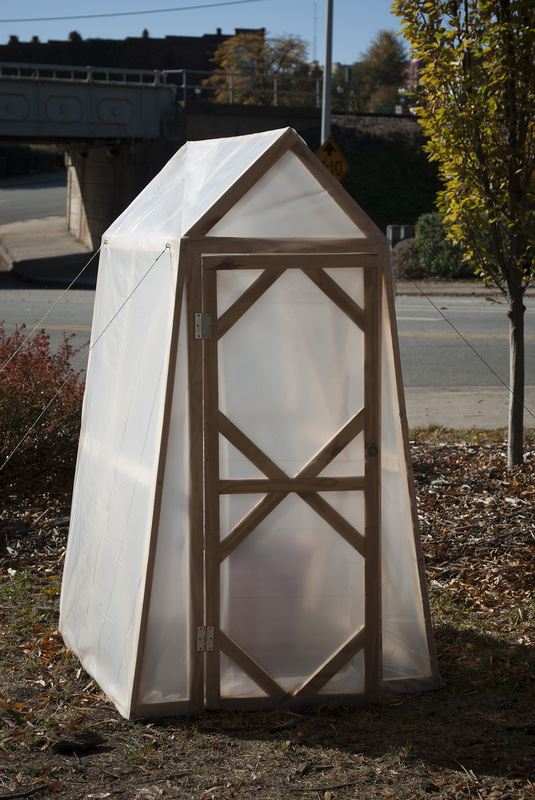 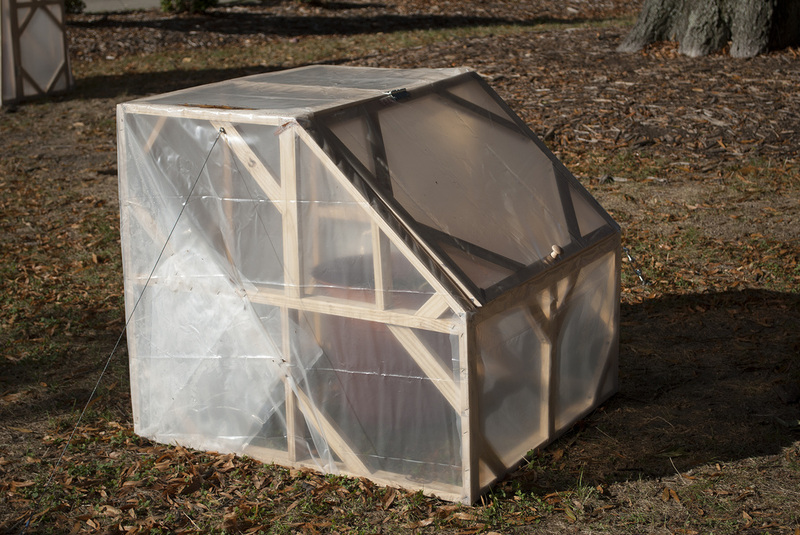 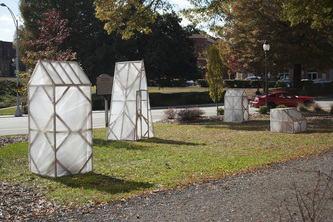 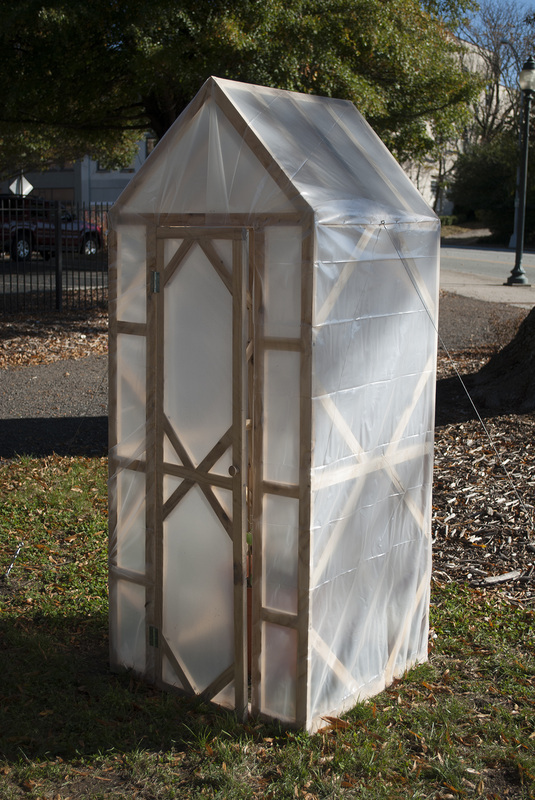 Series of greenhouses made for single plants. 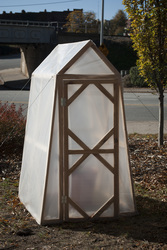 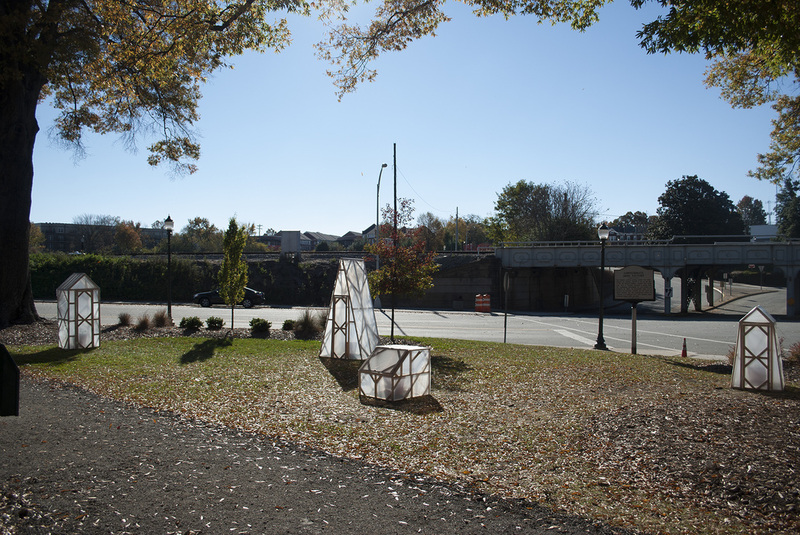 The structures are built to suit 4 North Carolina cash crops when reached full size. 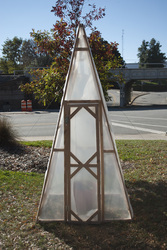 The crops used in the exhibition: corn, cotton, soybeans, peanuts.